B Meng is ready for fun! 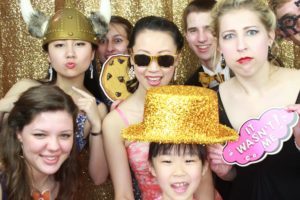 The prom is almost one month away as we anticipate the merriment that will be had on Saturday, May 18 at the Virginia Museum of History and Culture. Who to invite and what to wear are questions under consideration by our Dragons. Also, to rent or to buy? These important questions can all be answered at the Prom Fashion Show. David’s Bridal and Men’s Warehouse have again provided attire for our viewing pleasure. The show starts at 11:50 am in the Commons so get a good standing-room-only spot for this annual show of MLWGS models.